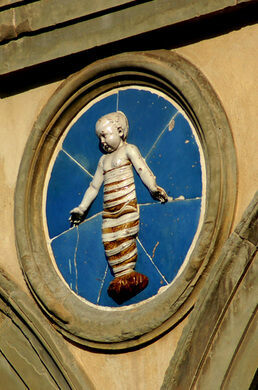 Florence in the 1400s had a problem. Babies. Babies everywhere. Babies in the fields, babies in the alleyways, babies left on the pews of the Church. Florence was crawling with abandoned babies. For all purposes, Florence in the 1400s was the center of the civilized world. Art, science, wealth, architecture, all were in bloom. Ruled from behind the scenes by the wealthy Medici family, this was the Renaissance… yet that wealth also meant slaves, and those slaves unwanted babies needed to be dealt with. Something had to be done. 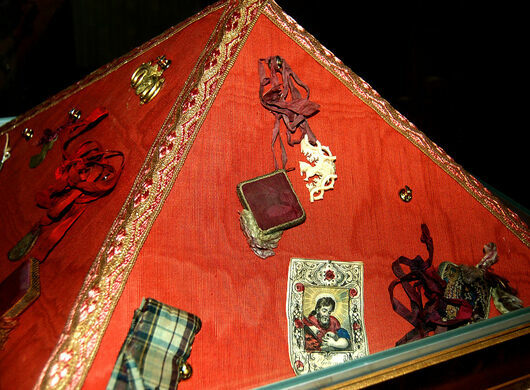 The responsibility for all these foundlings, as they were known, was given to the “Arte della Seta,” or Silk Guild. It was one of the richest, most powerful guilds in Florence. It was quickly decided that a new building would be established to house these children. The hospital was to be the first building erected specifically for the care of abandoned children; the first orphanage. Called the Ospedale degli Innocenti (Hospital of the Innocents), an important element was to be an official infant unloading point so that Children would no longer be left willy-nilly around the city. 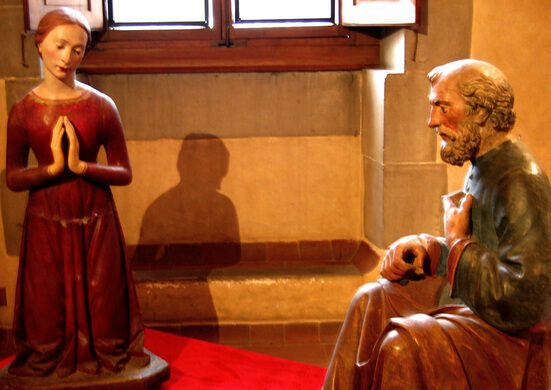 On February 5, 1445, 10 days after the official opening the first child was dropped off. 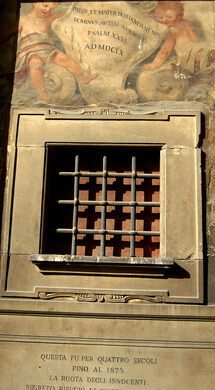 A sort of turnstile door was constructed so that a woman could drop off the baby without being seen. Above it a statue of Mary pointed down, indicating the appropriate drop-off point. Women would often split an item, such as a coin, and leave half attached to a necklace on the child being given up, with the idea that perhaps one day the coin could be whole again. Operating much like a turnstile at a 24 hour deli, the child would be spun around and once on the other side, began a short slide down a chute into “the basin of abandonment”. On either side of the basin knelt two terra-cotta figures of Mary and Joseph, the basin doubling as a manger. The child would then be quickly picked up and brought to be wet-nursed. The Ospedale degli Innocenti cared for over 375,000 over its five and a half centuries, and continues to help care for abandoned children today. 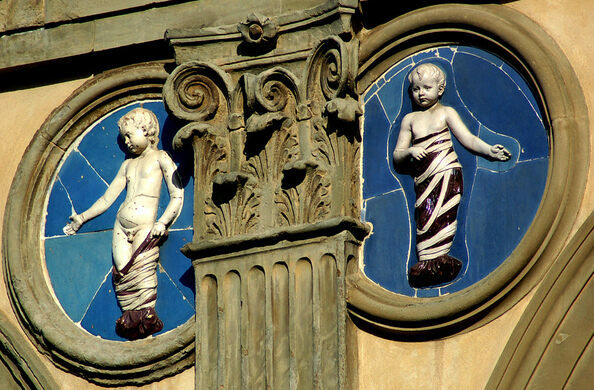 Overlooked amid the tourist bustle of Florence, this museum is dedicated to the craft of stone inlay. This museum presents a dogged pursuit of 500 years of veterinary history.